The late omission of Kevin Lisch, the woeful performance of Rotnei Clarke, and the meteoric rise of Nathan Sobey were the big talking points from round four. I can’t wait to see what new twists and surprises round five delivers. Nathan Sobey delivered the top score for the round, getting 78 from just a single game. It’s hard to believe that this is the same guy who got 4 points total from his two games in round one. Mark Worthington also got 78 in a solid pair of performances, whilst AJ Ogilvy bounced back from a poor first game to finish with 74. Rob Loe was the best value performer for the week, getting 52 amongst the New Zealand scoring feast. Rotnei Clarke was the worst selection for the round, getting just 8 from his two matches. This was extra painful for those who gave him the captain armband following Harris’ shocking round three. Jason Cadee (8) seemed to lack opportunity following the inclusion of Blake. Whether or not to hold onto Kevin Lisch is the tough question that owners face this round. Sydney are starting on a four week stretch of double matches and he’s managed to score well so far this season despite his troubles. That said, I would trade him as having that amount of cash doing nothing on your bench is just too costly, particularly if they rest him for a few extra matches. Similarly, I’m looking at trading out AJ Ogilvy so that I can use his money to boost my team overall. Other players that you could trade out but who also have potential if you hold them are Jason Cadee, Cedric Jackson and Todd Blanchfield. Despite having the double, all look set to drop significantly in value. Although if they have a great round like Blanchfield did in round two then trading them out hurts. Easier options to show the door are Rotnei Clarke, Tom Jervis, Eric Jacobsen, and Daniel Johnson. None of them are delivering decent scores and all are set to plummet in price. Sydney and New Zealand are both about to go on a run of double matches, being four and three weeks respectively and there is plenty of potential. Greg Whittington has the highest average in the competition currently and, although his price now matches his output, you really should trade him in if you don’t have him. Akil Mitchell has started to find his rhythm and is still mostly affordable. Similarly priced, Kirk Penny has found touch after a slow start and has a huge ceiling. Tom Abercrombie has been solid all year and should continue to be consistent. Cheaper options include centres Rob Loe and Aleks Maric. Whilst both have gone up in price both are consistently getting good minutes and solid scores. Corey Webster has had a very slow start to the year coming off the bench, but his most recent game was great and he has a great ceiling if he can hold form. Nathan Sobey deserves a mention also. Despite having gone up $90k already, he still has a break even of around -30. Plus, his current form has been so impressive that the question starts to arise; at what point he goes from cash cow to keeper? If you don’t have him and feel already set for the upcoming rounds then he’s still a good option to acquire, even if he’ll just be on the bench. We have a Friday lockout this week so everyone has an extra day to ponder the tough decisions we have to make. Hmm gonna have to trade out lisch- and last thought I was hoping being one of the few with him and AJ already was going to help me! Thinking Lisch and Clarke to Akil Mitchell and loe? Leaves enough $ so that next week will be able to go bairstow/ Anderson back to lisch if he back? Good to have a contingency but with Blake’s addition I’m definitely going to wait and see for at least one game back before considering getting Lisch. have gone lisch to penney and got torrey back in (should never have got rid of him last week) and traded out rotnei. so i should have a full starting team of doubles for the next 3 weeks at least. loe was a nice in last week for me…lucky get. Torrey Craig is having an awesome season, definitely a keeper. 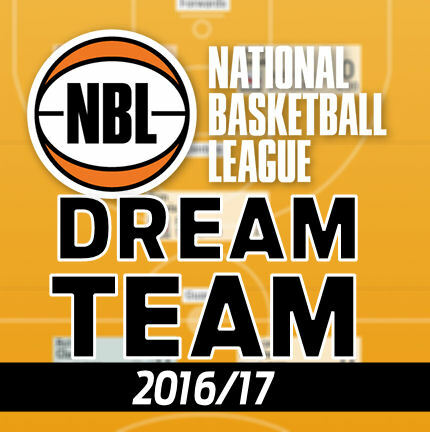 when does BBL fantasy start?